So this is what I am going to be drinking for the next week. This and about a million other tropical foods, because that is what you do on a hot summer vacay. Or at least that is what I am going to do. Here’s the thing with smoothies. I love them, but one, they sometimes can give me a headache. I have no idea why this is, but it has always been the case and to be honest I still prefer eating my fruit whole. So I can really only ever drink half a glass before handing it off to my brother Brendan who is the Smoothie King. Two, smoothies are really not a recipe. Or at least when I make them. See, I just throw whatever fruit I have on hand into the blender and maybe a little milk or a lot of time greek yogurt and call it a day. Sometimes, for my younger brother Red, I will swap the yogurt for ice cream because he loves it that way and he is literally a twig and needs the fat. With that said though, I really wanted to make a smoothie full of summer fruits and heavy on the tropical flavors. That is where this two layered smoothie comes in! I went with the two layers because well, they’re pretty, and fun, and because I thought that if I didn’t make two layers and just mixed everything in, then the color might come out a little scary looking. I’m sorry, but scary colored smoothies are just not my thing. So two layers it was! Also, I have not a clue how I managed to get my bottom layer so pinkish/red. 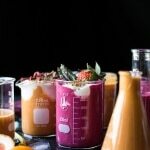 The smoothies pictured were my first batch, but the second batch, using the same recipe, resulted in a much, much lighter pink color. I am really not sure what was going on, but don’t worry, both tasted equally delicious. Whatever, some weird stuff was definitely going on with these smoothies. I also made some super simple coconut granola to go on top. You can skip this, but sometimes I really like a little texture in my smoothie… and hey, it’s another excuse to make and eat granola. And really, you should not pass that up. 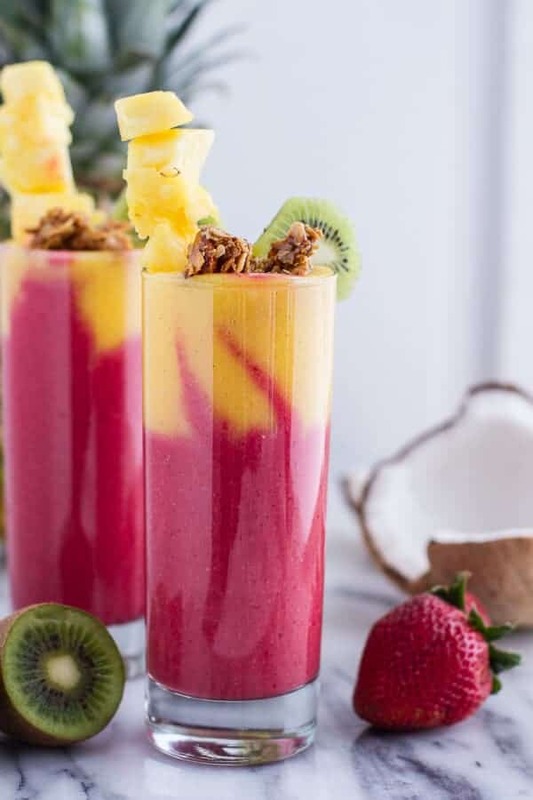 This smoothies is full of summer fruits and heavy on the tropical flavors. 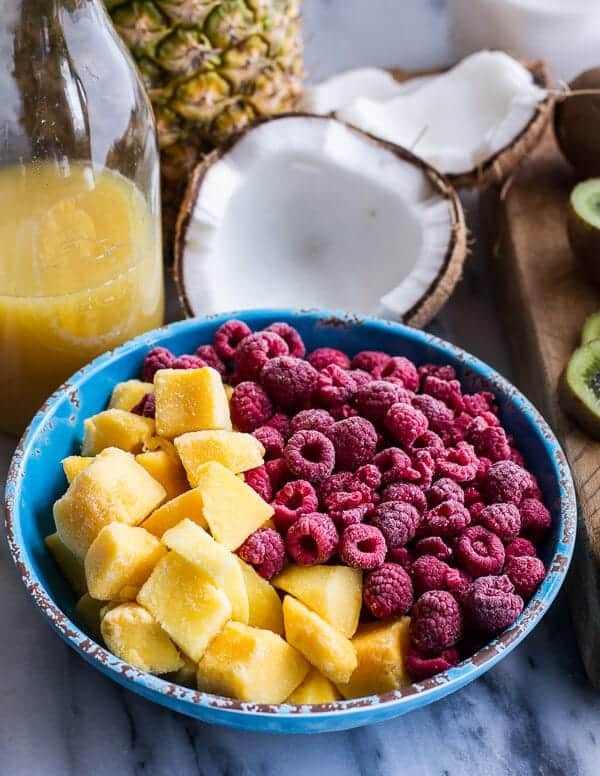 In a blender add the raspberries (or a mix of raspberries and strawberries), banana, coconut meat and coconut milk. Blend the mixture until smooth. 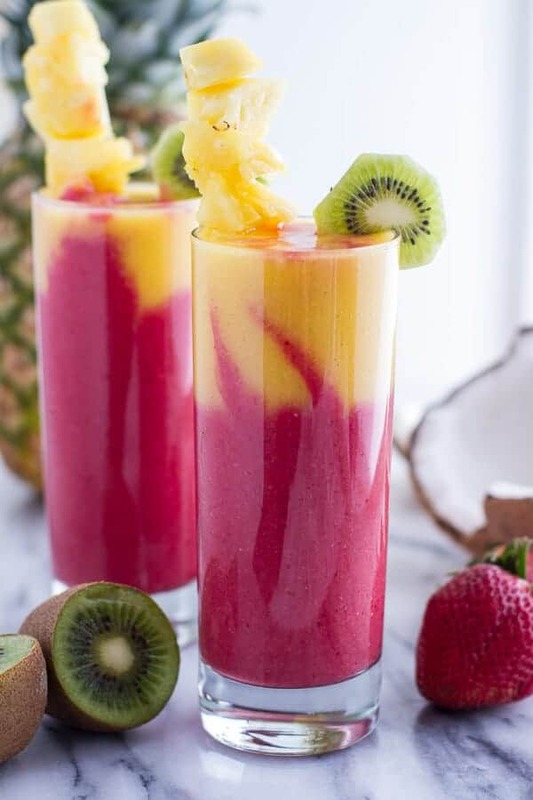 Pour the smoothie into two glasses. If desired thread some pineapple cubes on wooden skewers and place in each drink. Add a kiwi slice to the rim. Sprinkle with flax and granola if using. Use a spoon or straw to drink/eat this! Preheat oven to 325 degrees F. In a large bowl combine the oats, shredded coconut and almonds. Toss well. Melt the coconut oil in the microwave for 30 seconds, stir in the maple syrup. Place the mixture back in the microwave for another 30 seconds. Sprinkle the espresso powder over top and stir to dissolve. Add the cinnamon and salt. Stir in the vanilla. Pour the warm mixture over the dry oat mixture and stir to fully combine. I normally stir for a good 3 to 5 minutes. Spread the granola out on a parchment lined baking sheet with sides and drizzle with 2 tablespoons honey. Bake for 30 to 40 minutes stirring every 15 minutes so the granola will get evenly toasted. The last time you stir the granola, drizzle it with the remaining 2 tablespoons honey. Remove from the oven and let cool five minutes. After 5 minutes spray the bottom of a flat 1 cup measuring cup or a flat bottomed glass with cooking spray. Press the granola into the pan using the bottom of the measuring cup so that you have a flat slab of granola that looks like they could be cut into bars. Let the granola sit for one hour to cool and harden. After an hour break the granola up into clusters. Come on, look at those colors! Happy drinking! 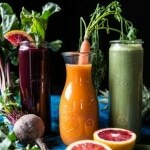 Red’s 3 Favorite Winter Juices and Smoothies: Protein Packed Matcha Smoothie/Citrus Beet Juice/Tropical Carrot Juice. Power Food Fruit Smoothies 2 Ways. Yummy will be in my tummy today! 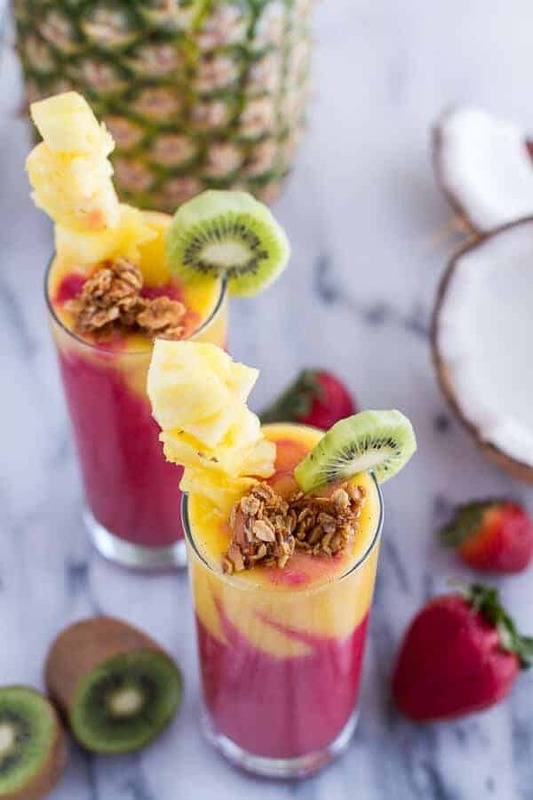 Oh my… these smoothies are completely gorgeous! I have a kid in the house who had his wisdom teeth pulled yesterday, so I think this would definitely brighten up his day! Love the addition of the granola (though none for the boy quite yet 🙂 Thanks… and enjoy Florida!. I adore granola on top of my smoothies! These are a work of art! I loved the layered smoothie so pretty…I like a good smoothie, but my problem is it can’t replace a meal because I like to chew my food not drink it. So for a snack perfect for a meal never but adding the granola gives me something to chew. i love two shades going on here. This looks so summery and perfect! Love the coconut granola too – I’d definitely be snacking on it all day! OMG the colors of this smoothie are AMAZING! 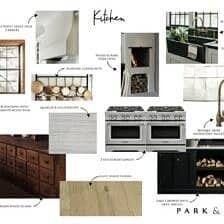 I also LOVE the way you styled these! Damn girl you also did a good job with that coconut! 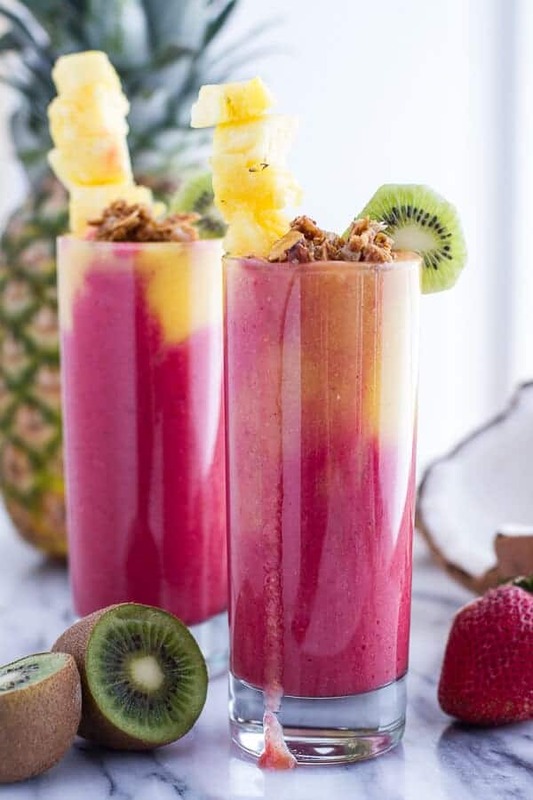 Love the multi-layered smoothie! These are so pretty! 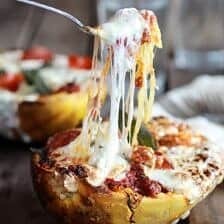 Love the layers and flavors in this so much, amazing!! Gorggggeous! Love the colors together! 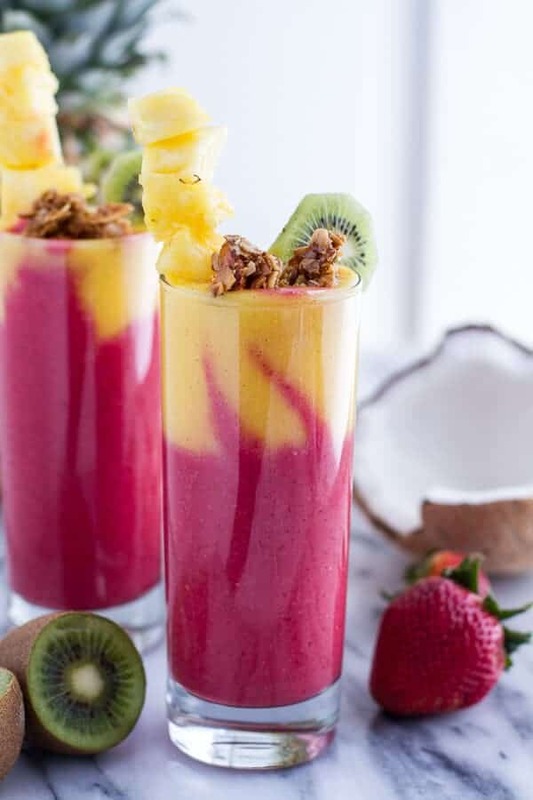 This smoothie is absolutely gorgeous and I love the layers! This smoothie is seriously intense! SO COLOURFUL! Yes, those colors and layers are perfection! And the granola topping for a little crunch – you’ve officially made me a smoothie person! Love these, gorgeous flavour combination and they are sooo pretty! 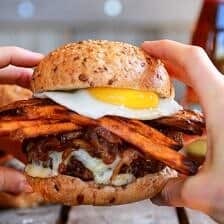 That looks sooooo yummy.. Wow.. seriously nice pics. Couldn’t get my eyes off that first picture. I have to definitely try this smoothie. Oh my goodness, yes! These look awesome, lady. 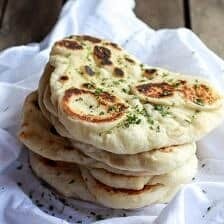 I want to make them this weekend. THANKS!! 🙂 They are the perfect thing for anytime! 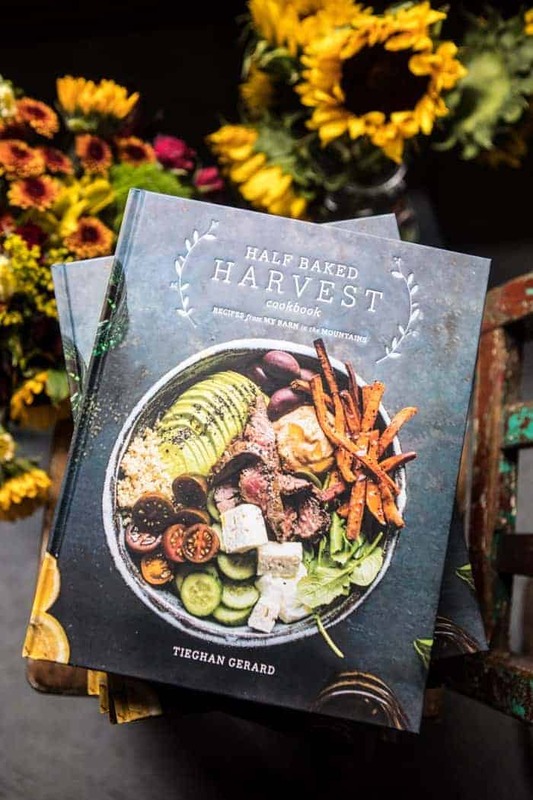 This looks awesomely delicious…thanks for sharing! 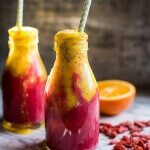 I’m always looking for a new smoothie recipe to try! I’m a little confused about the granola recipe. Why do you up the temperature in the oven to 350 when the granola is done? Oops, so sorry that is a typo. Hope you love these! Yep, this smoothie is how I’ll be enjoying the rest of my summer! Beautiful, Tieghan! 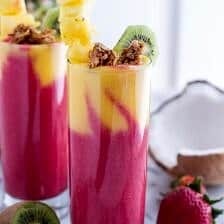 What a gorgeous smoothie! And what a perfect thing to be drinking while you’re on vacation… or dreaming of a tropical vacation, as the case may be. Like you, I’ll sometimes get a headache when I drink a smoothie. (A brain freeze, perhaps?) Yet I drink one every morning… and I’ll definitely have to try this one soon! Thanks so much, Erin! Hope you love this! Honestly, I would eat breakfast everyday if these beauties were on the menu! 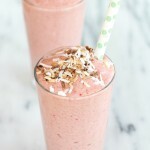 This looks like a perfect breakfast smoothie! Pinned! I have a question what kind of blender did you use? I used a Breville blender. No I have not tried it. Thank you!! raspberries, as well as other berries should never be put in blenders because the seeds contain arsenic, which is released at an unsafe level when puréed. 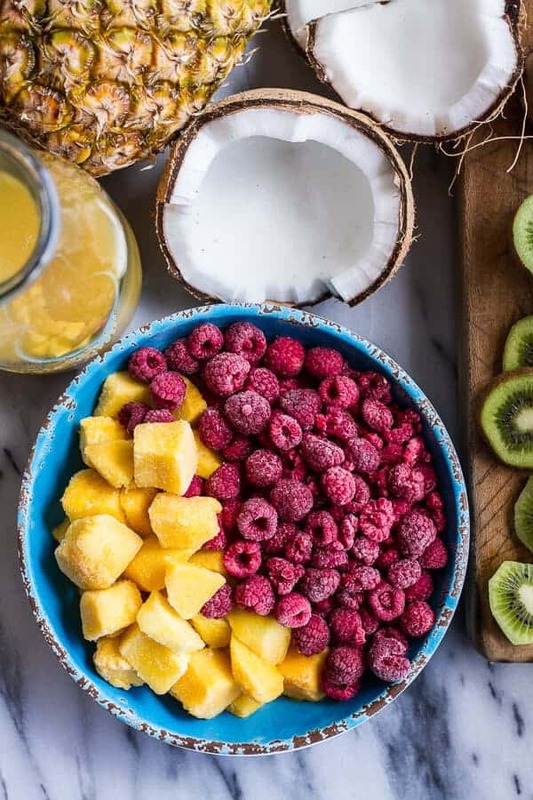 You may have noticed the bitter flavor that the berries impart, especially if you don’t like to add extra sugar in your smoothies. Berries are best eaten raw. I think I did something wrong! I followed the instructions exactly and my bottom layer was perfectly pink but the top layer (1c frozen mango+1c pineapple juice) didn’t sit on top. It was super liquidy and just mixed right in. Also, all I taste is banana which I’m not fond of. Should I half the banana next time? Or 1/4 it? 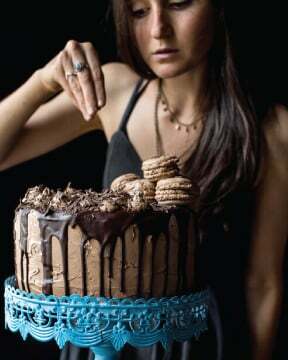 Also, any suggestions on how to get it to layer and be pretty? HI! Sorry for the trouble. So I would do 1/4 of the banana and then start with with 1/4 cup pineapple juice and go up from there. That should help with the banana flavor and the thickness as well. Let me know if you have any other questions. THANKS! I do have smoothie for breakfast everyday, with everything thrown in, such as mixed fruits and some raw greens, such as carrot, yoghurt, and I am not too concerned about the color of the smoothie. The end results were fantastic. I know this is an old post, but greek yogurt can trigger migraines for a lot of people. I know a lot of friends who have had this problem and had to stop eating it. It very well could be the ingredient in your smoothies giving you a headache. Bananas, raspberries, pineapple and other citrus are known migraine triggers, as well as dairy (yogurt). You may be getting headaches from smoothies due to one or a combination. Hey There! What do you recommend for the coconut milk for the smoothie? Would canned work?